After two weeks of testing new features for its Office apps, Microsoft is finally releasing them to the public. All three Office apps (Excel, PowerPoint, and Word) have been updated recently with a couple of new features that we've already reported about back in June. 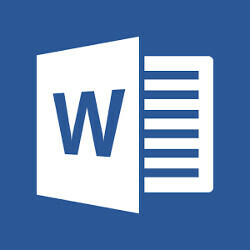 Word received most of the new features tested by Microsoft, such as the option to copy and paste formatting, not just text, directly in documents. In addition, Word for Office now allows users to quickly find a text from a PDF and copy it to an opened document. Also, there's a new setting that enables you to set the margins in your documents. Excel has a new numeric keypad, which comes in handy when you want to enter lots of numbers in a document or simple functions. It's the only thing that's changed in Excel for Android. Last but not least, PowerPoint users will notice they are now able to add, change, delete, or reply to comments in a presentation stored on their Android devices. That's all there is about the new Office for Android update. So, to reap the benefits of the new features, make sure to download the new updates via Google Play.